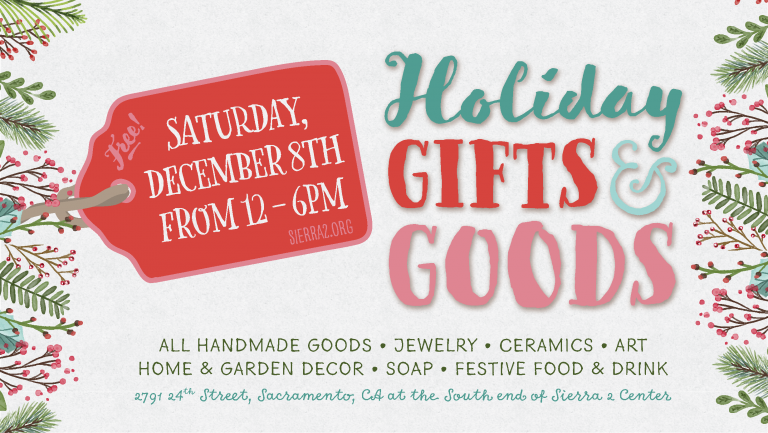 I’ll be vending on Saturday, Dec 8th from noon-6pm at the Sierra 2 Center in Curtis Park in Sacramento. I’ll be fully stocked on holiday cards and fun paper goods. See you there! I will be vending at the Holiday Craft Fair at the Sierra Center 2 in Curtis Park in Sacramento. Please stop by and get some holiday cards and gifts! I'll be selling a variety of greeting cards including holiday, birthday and thank you cards in sets and singles. I'll also have fabric swatches to view in case you want to see before you purchase on spoonflower. Klinger Creative is sharing a booth with Noelle Walsh Jewelry. Please stop by, say hi, buy some gorgeous jewelry, stock up on holiday cards and enjoy a beautiful fall day in Midtown Sacramento! If you prefer to buy online and pick up your cards at this event, I'm happy to reserve cards for you. Drop me an email, won't you? Thanks to everyone who visited my booth at the River City Marketplace in Sacramento this weekend! It was a super fun event and I thank everyone for their support. I will be vending at the Scout Winter Market at Studio 817 in Midtown Sacramento on Thursday, December 15 from 4 to 9PM. Stop by and buy holiday cards, recipe cards, and playing cards (all the cards are covered!) It's a great event that features local Sacramento artisans and businesses and is perfect for stocking up on unique gifts for the holidays. This event is FREE and open to everyone.